Achieving A Better Life Experience (ABLE) Accounts for disabled persons allow them to have funds to help with their disability related expenses in a tax advantaged manner and without affecting their eligibility for SSI, Medicaid or other public benefits. What Do ABLE Accounts Do? For the first time, the ABLE Act recognizes the extra and significant costs of living for a person with disabilities. Persons with disabilities depend on a wide variety of public benefits for assistance with health care, food, housing assistance, transportation, personal assistance, assistive technology, and health care. To be eligible for public benefits, a person generally must have almost no money. This limitation leaves very little assets to provide for those needs not covered by governmental programs. As a result of the ABLE Act, disabled individuals and families are now allowed to establish ABLE savings accounts that will not affect their eligibility for SSI, Medicaid and other public benefits. The legislation is intended to provide funding for disability-related expenses on behalf of people with disabilities that will supplement, but not supplant, benefits provided through private insurance, Medicaid, SSI, the beneficiary’s employment and other sources. They function much like Special Needs Trusts (SNT) or Pooled Income Trusts which are currently being used. In limited cases, they can be used instead of SNT’s or in addition to an SNT. These accounts function like a Sec. 529 Education Savings Plan. In essence, you put after tax money into it and the earnings are never taxed as long as they are used for expenses helping a person with a disability. In order to qualify for an account, the individual must be entitled to benefits based on blindness or disability under the Social Security disability insurance program or provide a disability certification to the IRS for the tax year in question. What are the ABLE Account Requirements? The disability must have occurred earlier than age 26. Only Cash can be contributed to an ABLE account. Only one account per disabled person is permitted. Contributions are not deductible for income tax purposes. However, the income is tax-free when used for qualified disability expenditures. The annual limit on contributions by anyone for one person is the amount of the annual gift tax exclusion which is $14,000 for 2015. There are some limitations on the account. The first $100,000 held in an ABLE account would be exempted from the SSI $2,000 individual resource limit. If an ABLE account exceeds $100,000, the beneficiary would be suspended from eligibility for SSI benefits and no longer receive that monthly income. However, the beneficiary would continue to be eligible for Medicaid. What Can I use the ABLE Account Money For? When will ABLE Accounts be Available? Those who want to set up an ABLE account will have to wait until late into 2015 before being able to set one up. Although it is currently law, regulations must be established before states can begin to set up procedures for managing ABLE accounts. Some key issues that will need to be determined before accounts can be set up are the following: 1) what information must be presented to open an ABLE account, b) the various documents needed to meet requirements of ABLE account eligibility, c) the definition of “qualified disability expenses”, and d) the documentation that will be needed for tax reporting. After the regulations are established, each individual state will be responsible for establishing and operating the ABLE program. Only then will you be able to establish an account. What Happens If I Use the Money for Other Things? If distributions exceed the qualified disability expenses, the excess will be taxable and incur a 10% penalty. Unfortunately, any amounts Medicaid has paid after the creation of the ABLE account will be repayable to Medicaid after death. The Third Party SNT has no payback so it is a superior vehicle. 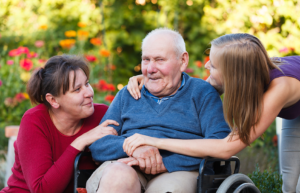 If there is money left after the Medicaid Payback, any remainder would go the deceased’s estate or to a beneficiary, subject to income tax on the investment earnings but no penalty. How Do ABLE Accounts Interact with a Special Needs Trust or Pooled Income Trust? People are already using a Special Needs Trust (SNT) or Pooled Income Trust to provide additional funds to help with the extra costs of disability similar to an ABLE account. The ABLE account has two advantages. It is tax favored and it is less expensive to set up. Determining which option is the most appropriate will depend upon individual circumstances. The third party SNT has huge advantages because it is not subject to Medicaid Payback, there is no limit on the account value, and there are no age limitations. In addition, if the SNT is a qualified disability trust, it gets an extra personal exemption. Although the use of ABLE accounts comes with restrictions and may not be available for all persons with disabilities, it provides a new and additional resource to help provide for those persons who qualify. For many families, the ABLE account will be a significant and viable option in addition to, rather than instead of, a Trust program. What Does the Special Needs Attorney Do? A Special Needs Planning attorney is an essential advocate when considering ABLE accounts and SNTs for individuals with special needs. The attorney will be able to identify the type of account and SNT that would be helpful in the particular situation and will know how to properly construct it so as to prevent the person with special needs from being kicked off his or her benefits. There are many roadblocks that can arise in the planning process and it is imperative that you have an attorney familiar with the many federal and state laws and regulations concerning public benefits, ABLE Accounts, and SNTs. Connecticut and New York often have unique laws which require special planning.